We can put all the fears to rest that the recently established 4K technology would be varied or replaced by Samsung’s new TV SUHD, because it corresponds with the current screen resolution Ultra HD standard. What has changed however is the processing and delivery technology to ultra high resolution images with the new top models with the Series 8 and 9. Under the prefix “S” the Koreans have made some incredibly compelling improvements in imaging and we’d like to cover them in a bit more detail. It’s known that LCD displays do not light up on their own, they merely produces the colours of the individual pixels. For illumination of such panels, LEDs are used for quite some time, which is usually the frame of the screen line (edge-lit) and the light of course, at best, should be pure white, so that the colours produced by the liquid crystal display can not be corrupted. To generate such a pure white light as possible, glowing blue LEDs are installed by default, the color spectrum is transformed by a yellow phosphor coating towards white. 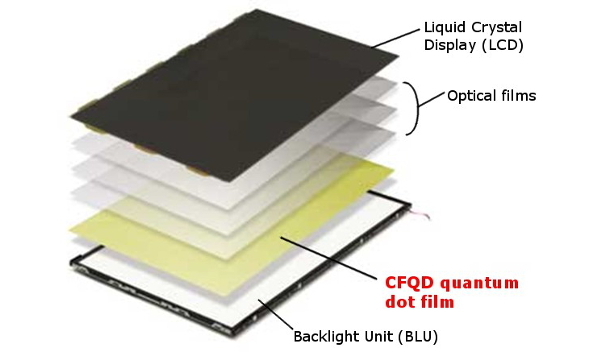 With Samsung’s SUHD models, this transformation process is now instead of using nano-crystals, which are located on a thin film at the back of the display. With this new method results in significantly better colour representation (saturated colours, enhanced colour space) being achieved. In addition, the built-up from Samsung variant is the first time without the heavy metal cadmium, so the biggest criticism could be eliminated in this process. Suitable for improved display technology, all new models are also process video signals with enhanced colour depth (10 bits) in the situation. This feature will be particularly relevant for adequate reproduction future 4K content available in all probability. The flagship models (UE65JS9590, UE78JS9590, UE88JS9590) are equipped with so-called full-array LED matrices. Unlike the aforementioned edge-lit technology, the LEDs are here distributed everywhere behind the LCD display and can be also partially influence in its brightness. For example, manages the presentation of faint images once precise and artifacts like the typical halo effects are mitigated. “Who or what is Tizen?” asks an article on the Austrian Samsung homepage with a wink and thus probably speaks from one soul mate to the other. ‘An operating system’ follows immediately, although this answer is far from complete. And the instructions for pronunciation (“Tai-sen”) is included in the same foresight. This question would otherwise have followed on the heels. So now only remains to clarify what is going on with Tizen and why it even needs to be a new operating system. Finally, it means a change so always at least some getting used to, at worst even compatibility issues or similar problems. However, the response is quickly apparent when one quasi looks out over the edge of the TV screen and the incredibly broad range of electronics giant and the fact realizes that in the not too distant future, all these devices are available on the Internet each other. In order to ensure smooth communication and interaction between the various categories of equipment, a robust and flexible operating system is a valuable basis and for this reason, Samsung has already decided several years ago to develop the Linux-based operating system with Tizen Intel and other partners. 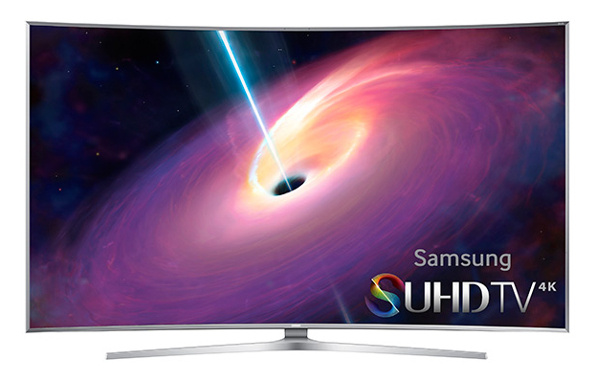 Some smart watches, cameras, smartphones and now the new Samsung TV SUHD are already underway with Tizen and later this year will follow more equipment categories. 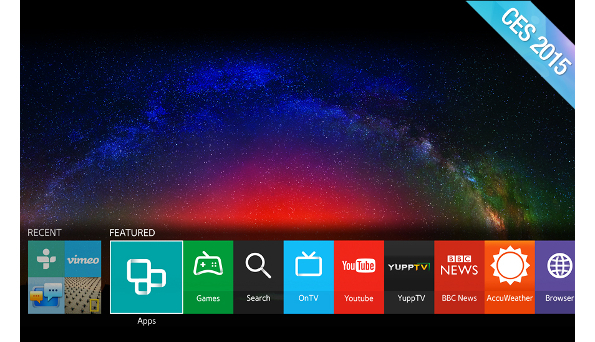 First demonstrations of Tizen on Samsung TVs SUHD show an agile and dynamic user interface that because more reminiscent of smartphones or tablets to the dusty acting Interfaces older generations of TVs. A really positive step forward. With the new TVs SUHD the leader holds its competitors also guarantees on their toes. The improved display technology and the operating system Tizen make a promising impression that remains a damn good argument and, moreover, a unique selling point for future safety caring One Connect Box. In this case, you have to first make the future anyway no worries. For pretty much all foreseeable contingencies, the new Samsung TV namely SUHD are well prepared. Finally, you will also find a demo video that an impression of the luminosity of the new SUHD displays over the previous generation taught.